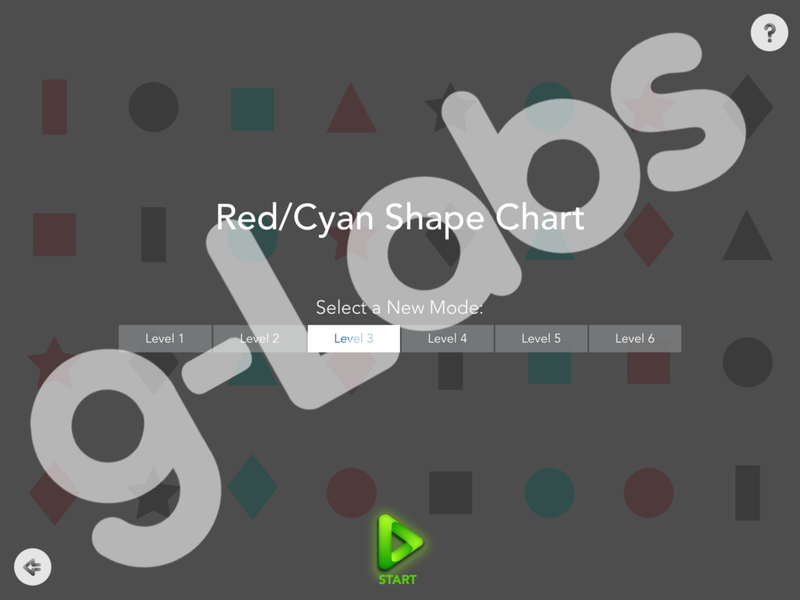 Description of the "Red/Cyan Shape Chart" exercise in the Opto vision training app for iPad. This exercise features six different charts of shape targets to improve saccadic accuracy and directionality concepts. If used with red/cyan glasses, it also works on anti-suppression and simultaneous perception. Users may tap or draw on or around the targets with their finger or a stylus. Each doctor or therapist may choose to use this exercise in a way that suits his or her preferences. Screenshots of the interaction with the iPad are automatically captured for your records. How to Purchase: Available as an in-app purchase in Opto, the vision training app for iPad. Download Opto and find Red/Cyan Shapes Chart in the in-app library of exercises. Available as an individual exercise ($3.99 USD) or at a discounted rate in Expansion Bundle 2 ($69.99 USD). Like all activities in Opto, a report is generated including the date and duration of the exercise. The report will also include a screen shot of the patient's interaction with the iPad. In additon, a patient assessment is recorded if the user is signed into his/her personal profile indicating how they felt about the activity. Download Opto for iPad to access the "Red/Cyan Shape Chart" exercise.